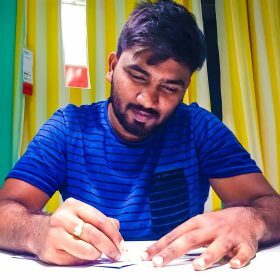 Bangalore based Agritech startup CropIn Technology raises $ 8 Million. India is the land of agriculture where many lives will depend on it. 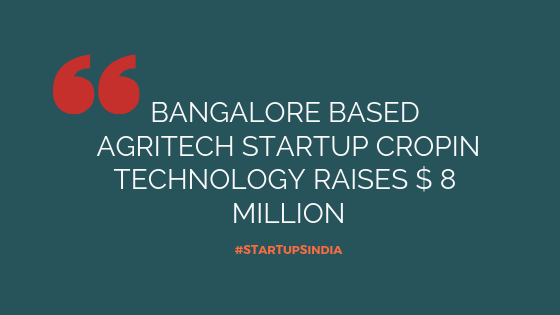 CropIn Technology is Agritech startup which raised $ 8 (INR 58Cr) million in Series B funding. The investors participated are Chiratae Ventures (IDG Ventures India), and the Bill & Melinda Gates Foundation. The fund raised by startup utilized for expanding its operations at the global level, also planning to develop machine learning to know the crop detection and yield production. Agritech startup is based out in Bangalore, born in the year 2010, under the name of CropIn Technology Solutions Pvt. Ltd. It started by Krishna Kumar who is the founder & CEO of the company. The startup is a system that provides farming solutions to the farmers and for the entire agriculture eco-system. It gives you real-time solutions by analyzing, reporting. CropIn in the year 2017 raised $ 4 million from Beenext and Ankur Capital by Series A funding. The company till now raised $12 million. It has 200 customers all over the globe which including banking, government bodies. This startup is working over 20 countries in the world. It covers Asia, Africa, Latin America, and European markets. Start Ups – Step Up your Game with CX Strategy!